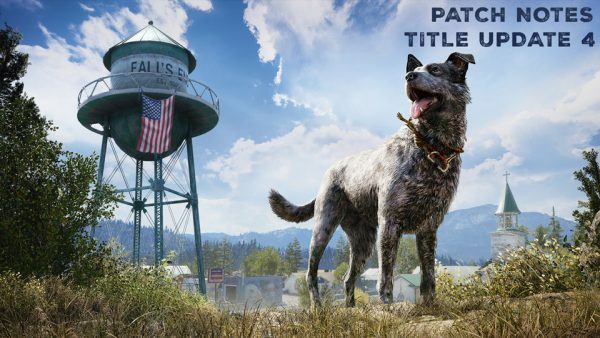 A title update for Far Cry 5 is now available for PC and will arrive on consoles Monday, April 9. The latest title update for Far Cry 5 fixes various crashes, save corruptions, and improves co-op connectivity. Hurk will also no longer blow up the client player when in a helicopter, which is good news. Map download efficiency for Arcade has been improved, and an issue where map textures would be extremely low was fixed. One thing the title update does not fix are instances where Far Cry 5 goes into perpetual darkness. This bug has been reported by many players on the official forums, and while Ubisoft is aware of the problem, it has yet to comment on a cause or when a fix will be applied. Ubisoft will hopefully address the issue soon because no one likes it to be nighttime all the time. Unless they are a vampire, and vampires don’t exist. We hope not at least.